Anyone has any experiences with Dr. Ruby from Dr. A’s clinic?? » Anyone has any experiences with Dr. Ruby from Dr. A’s clinic?? I thought Dr. Ruby no longer works for Dr. A’s clinic. » » Anyone has any experiences with Dr. Ruby from Dr. A’s clinic?? » I thought Dr. Ruby no longer works for Dr. A’s clinic. 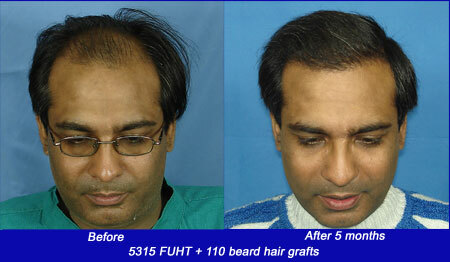 Dr. Ruby and Dr. Sangay both perform hair transplants at the clinic. For most of the FUHT procedures, Dr. Ruby has either been the main physician or the asissting physician. Some of her major forum documented cases include Sunil and Vineet. She is due to complete 2 years with the clinic in a few months time. » » » Anyone has any experiences with Dr. Ruby from Dr. A’s clinic?? » » I thought Dr. Ruby no longer works for Dr. A’s clinic. » Dr. Ruby and Dr. Sangay both perform hair transplants at the clinic. » cases include Sunil and Vineet. » She is due to complete 2 years with the clinic in a few months time. What does Dr. Arvind do? Does he do procedures at the clinic? » » » » Anyone has any experiences with Dr. Ruby from Dr. A’s clinic?? » » » I thought Dr. Ruby no longer works for Dr. A’s clinic. » » Dr. Ruby and Dr. Sangay both perform hair transplants at the clinic. » » cases include Sunil and Vineet. » » She is due to complete 2 years with the clinic in a few months time. » What does Dr. Arvind do? Does he do procedures at the clinic? » » » » » Anyone has any experiences with Dr. Ruby from Dr. A’s clinic?? » » » » I thought Dr. Ruby no longer works for Dr. A’s clinic. » » » Dr. Ruby and Dr. Sangay both perform hair transplants at the clinic. » » » cases include Sunil and Vineet. » » » She is due to complete 2 years with the clinic in a few months time. » » What does Dr. Arvind do? Does he do procedures at the clinic? v, why don’t you show some pics that are patients of Dr. Ruby. Yes, Dr. A does his patients. He concentrates more on the difficult repair cases, BHT and FUSE procedures. Dr. Ruby and Dr. Sangay perform most of the strip FUHT. » v, why don’t you show some pics that are patients of Dr. Ruby.